Interest continues to grow for the L’autodromo del Mugello’s return to the 24H SERIES calendar. 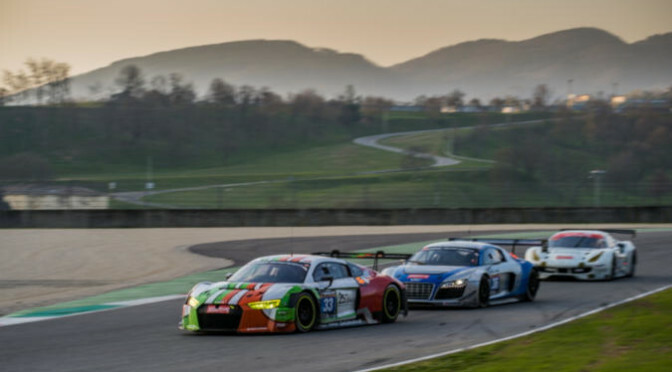 With just a little more than a month to go before the Hankook 12H MUGELLO on 29-30 March, provisional grid numbers for the 2019 European Championship season opener have already surpassed 50, and look set to increase further with entries still available for GT and TCE teams and drivers. This year, following positive feedback from competitors and fans alike, the Hankook 12H MUGELLO returns to the 24H SERIES powered by Hankook calendar after a one-year hiatus. Fittingly, the L’autodromo del Mugello also resumes its season opening spot on the European Championship calendar it held every year from 2014 to 2017. Entrants so far include former 24H GT SERIES champions Hofor-Racing, series stalwarts Bas Koeten Racing (which again brings a multi-car entry to Italy), this year’s Hankook 24H DUBAI TCE winners Autorama Motorsport by Wolf-Power Racing, and reigning GT European Champions CP Racing, whose title victory last year guaranteed the American outfit a grid spot on the Hankook 12H MUGELLO grid. 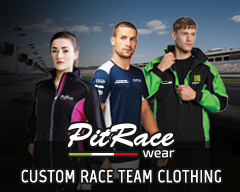 Rinaldi Racing and tenured British racing outfit Barwell Motorsport meanwhile ensure Italian giants Ferrari and Lamborghini will be well-represented on home soil too. “We are happy to have Mugello back on the 2019 calendar. In previous years we had great endurance races there, and after many request from teams and drives, we managed to find a proper date. No doubt, we expect another sporting battle on L’autodromo del Mugello’s circuit”, says Gerrie Willems on behalf of CREVENTIC. Among Italy’s most stunning racing facilities, L’autodromo del Mugello lies deep in the Tuscan hills, a stone’s throw from the beautiful Siege Valley. While the circuit’s fast main straights and undulating technical infield remain as much of a challenge for drivers today as they did upon the circuit’s official opening in 1974, Mugello’s motorsport history dates back much further than that, however. Originally a Mille Miglia-esque road rally course, races were held around the 65+ kilometre road circuit as early as 1920, winners of the pre-F1 ‘Grand Prix’ including two-time Mille Miglia winner – and Opera singer – Giuseppe Campari, Gianni Bulgari, former CEO of the eponymous luxury watchmaker, and Alfieri Maserati, co-counder of a certain Italian sports car manufacturer. Since then, the Gran Premio d’Italia at Mugello has been a MotoGP staple since 1991, Formula 2 and Formula 3000 races were hosted intermittently from 1974 to 2000, and the 1000km of Mugello was a prominent feature of the World Sportscar Championship through the ‘60s, ‘70s and ‘80s, luminaries such as Mario Andretti, Jacky Ickx, Brian Redman, John Surtess, and Hans-Joachim Stuck taking to the top step during that period. Even Formula 1 made its way there in 2012 for a three-day, mid-season test session. Since its inaugural run in 2014, the Hankook 12H MUGELLO has also proven to be one of the most competitive events on the 24H SERIES calendar. To-date, five different manufacturers have finished on the outright podium, with Ferrari victories bookending the event in 2014 (AF Corse) and 2017 (Scuderia Praha), Renault (V8 Racing) and Porsche (Herberth Motorsport) each picking up an outfit win in 2016 and 2015 respectively. Any and all who compete at L’autodrome del Mugello can’t help but be astounded by the history that resonates from its walls, another reason why the Tuscan circuit’s return to the 24H SERIES calendar is so significant.